‘Twas a trip down memory lane with my best friend Shani that inspired this recipe. 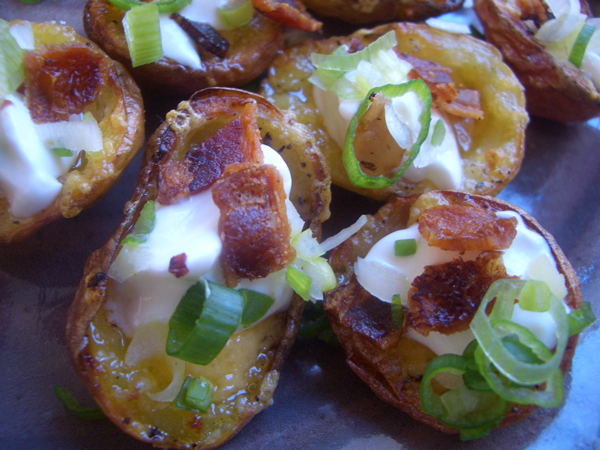 If memory serves, potato skins are usually deep-fried and then the toppings are added. This gives the skin part a particularly crispy quality. That was too much mess, but fear not, as you can still achieve some semblance of the same texture using the oven. After you make the base shell, you can top these with anything that sounds good to you. Basically anything that tastes good on a pizza or tortilla chip will likely be outstanding on a potato skin. Wash and thoroughly dry the potatoes, trimming off any nasty bits. 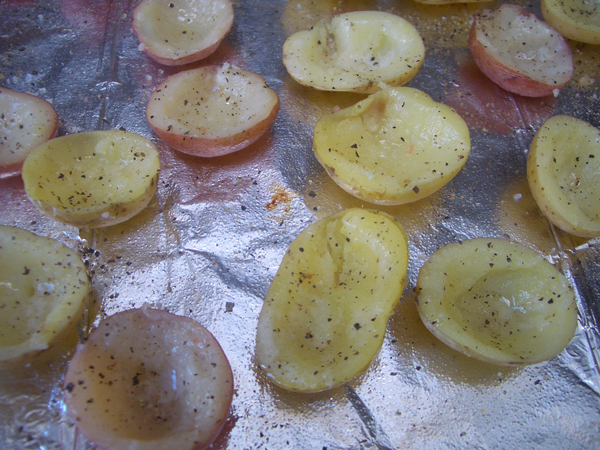 Prick them once with a knife, toss them with the olive oil and spread them out on a baking sheet. 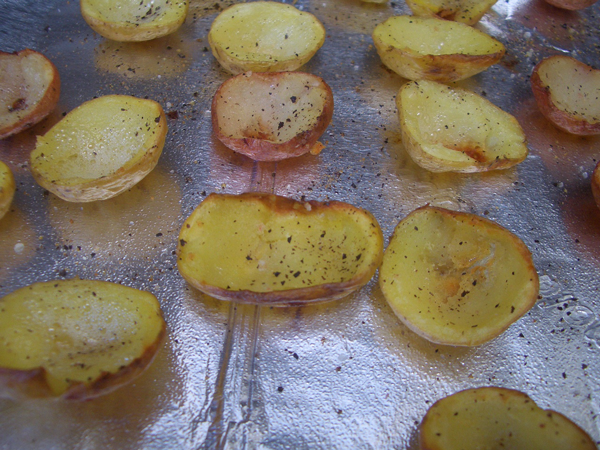 Bake for 20 minutes until they are fairly tender but not sunken and shriveled. 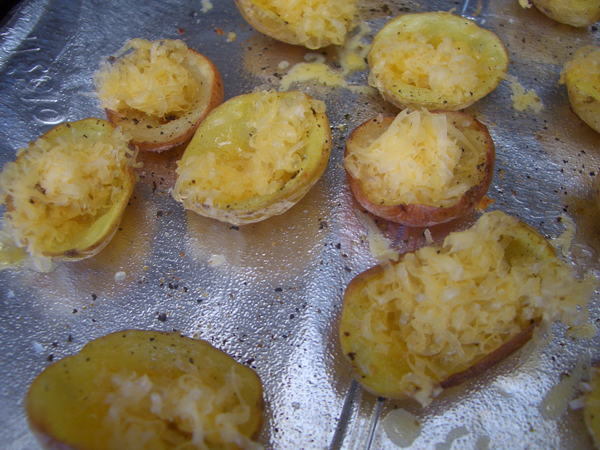 Let the potatoes cool in a single layer for 30-60 minutes. Don’t pile them in a bowl or they’ll continue to cook and steam. 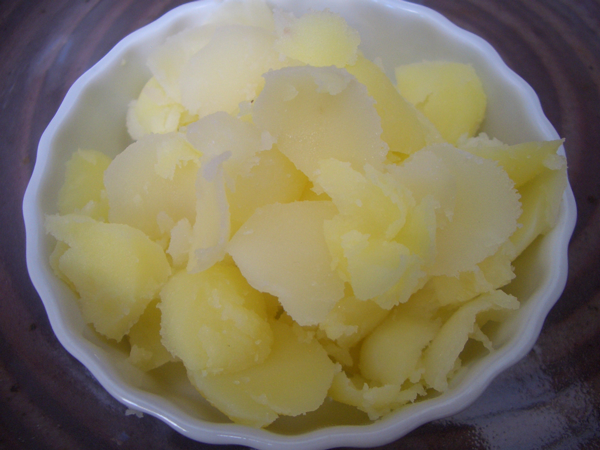 Using a sharp knife, cut the potatoes in half lengthwise and with a small spoon scoop out the middle. Some of the spuds might still be a little firm so be patient. 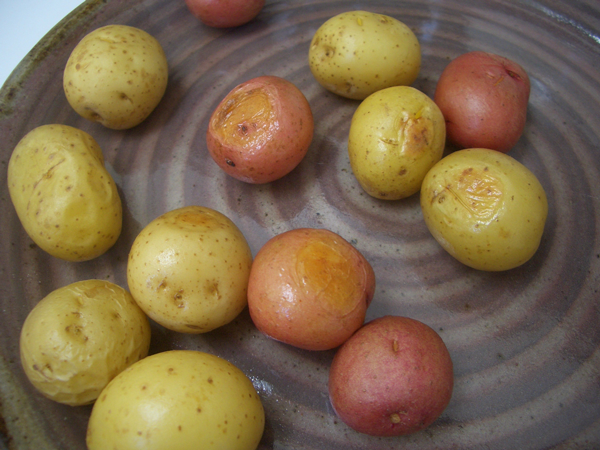 And before you thrown the excess potato out, consider adding it to a soup or mixing it with a little chopped onion and making breakfast potatoes. 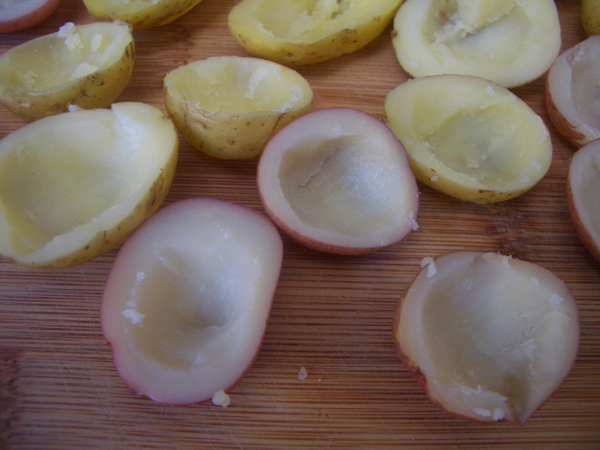 Brush the skins with the melted butter and sprinkle with salt and pepper. 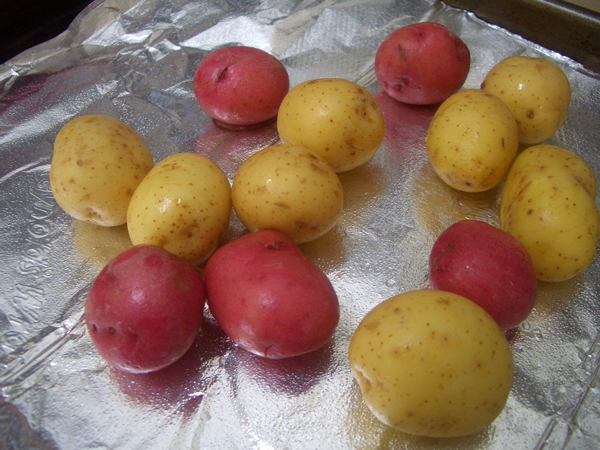 Put them back on the baking sheet and back in the oven for 15-20 minutes or until they’re puffed and crispy. They won’t be particularly dark, but when you touch the flesh you’ll be able to feel how hollow and light they’ve become. Remove from the oven and set aside in a warm place. Set the oven to broil and move the rack to the top position. 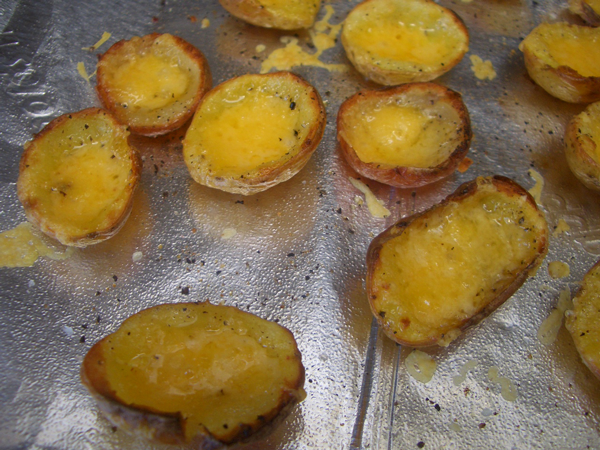 Sprinkle the skins with the cheese and pop them back in the oven for 30-60 seconds until the cheese has melted and is bubbling. Watch them closely to make sure they don’t burn. 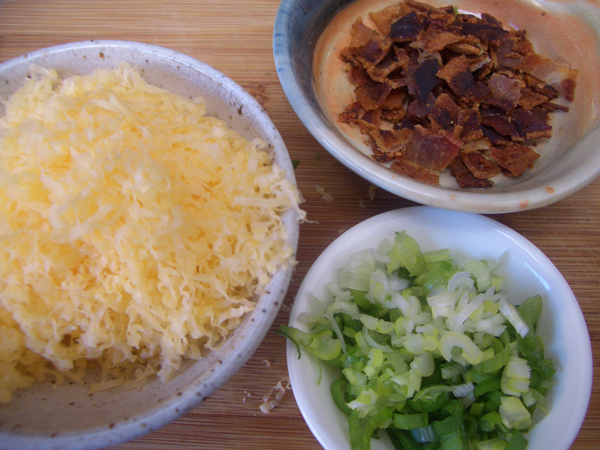 While hot, top the skins with sour cream, bacon and green onion. Serve immediately.